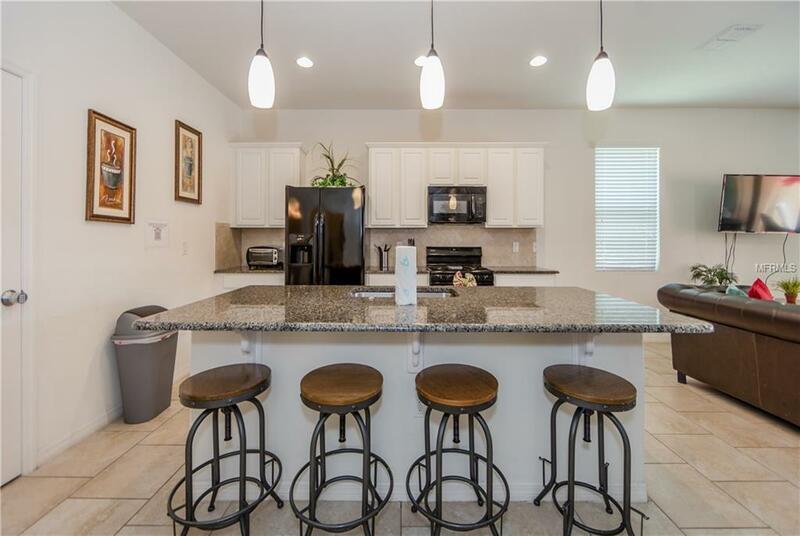 A beautiful fully furnished income producing vacation town home (almost new) available as an investment property or home for you and your family in very desirable Solterra Resort and NO REAR NEIGHBORS . 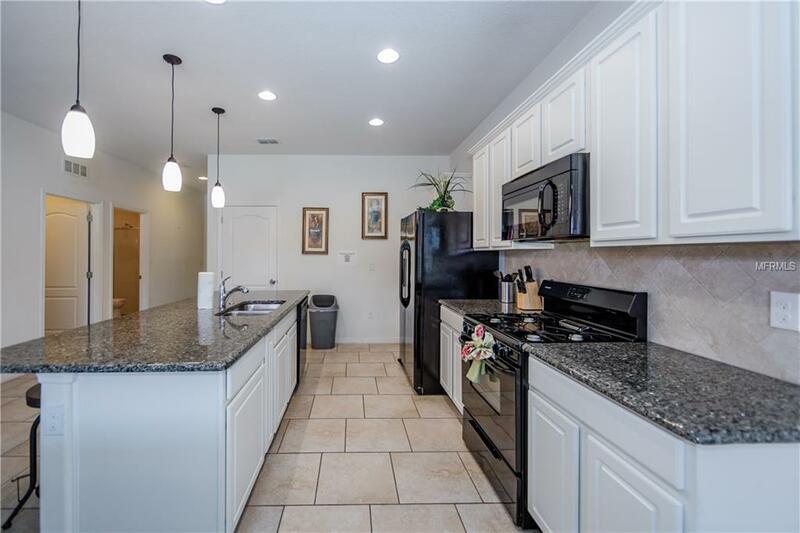 Home has fully equipped kitchen with granite counter tops, 42 inch cabinets, breakfast bar and plenty of cabinet space. Tile throughout the main living areas. 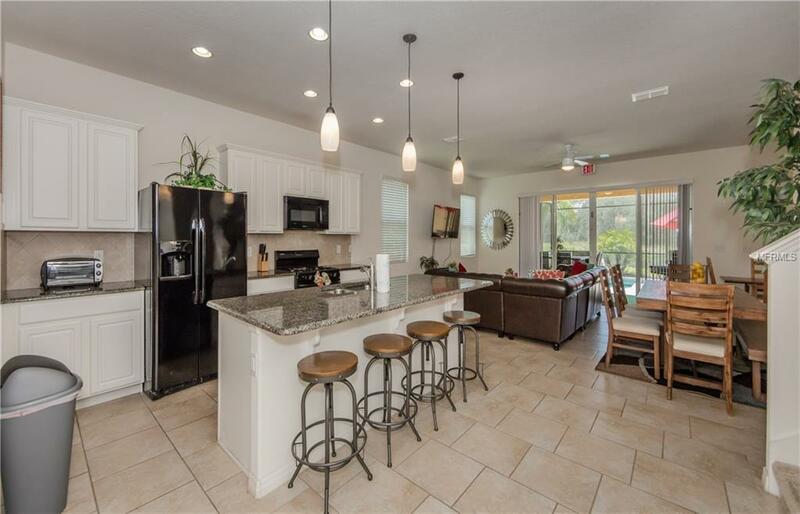 Opening the sliding patio door will lead you outside to an inviting covered lanai with plenty of space to dine and entertain and relax in your own your private, heated pool with no neighbors behind to look at. First floor has a one bedroom and bathroom and four bedrooms (each with their own bathroom) upstairs. A large and spacious floor plan for all to enjoy. 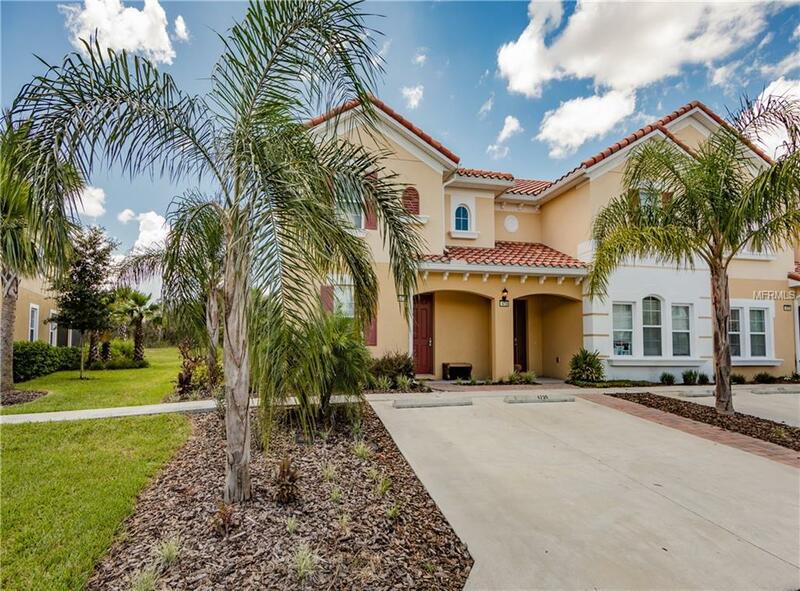 This incredible home is located in luxurious, gated community of Solterra Resort offering both owners and guests many amenities including the resort pool, lazy river, tennis courts, fitness center and much more, located just minutes from I-4 and all of the Central Florida major attractions, shopping and hospitals. A property you would be proud to own. Additional Lease Restrictions Short Term Rental Property.